Naming our favorite donuts is a hard thing to tackle. We love all of our donuts for their own uniquely sweet elements they bring to the table. In many ways, they’re all our favorite donuts. But even we have to admit there are days when one favorite donut really hits the spot. 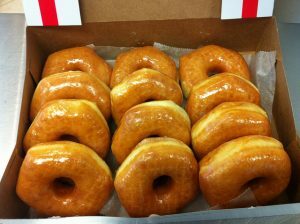 Presenting from Shipley Donuts: A Countdown of Our Top 5 Favorite Donuts. Donut holes are our favorite donuts for when you just want a little pop of sweetness. Ah, little donut holes. They are our favorite donuts for when you just want a little pop of sweetness on the go. They’re also perfect for those lazy Saturdays when all you want to do is relax with a good book or movie, and an easy snack to nom on. But the real reason they’re one of our favorite donuts is all the sweet treats you can build with them. Not a fan of cherries on a sundae? Stick a donut hole on top! Need to jazz up some cupcakes for a BBQ? Top them off with a donut hole! You could even grab a few toothpicks and make your own edible building blocks! 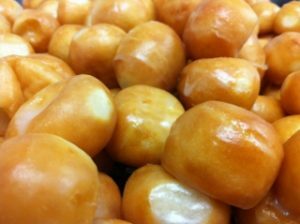 With all these delicious possibilities it’s no wonder the donut hole is one of our favorite donuts. Order the Hole-Some Donuts Today! The classic glazed is one of our favorite donuts to eat fresh off the glazing line. You can’t get more classic than the classic glazed. It’s the O.G. donut and by far one of our favorite donuts. They’re great to share with friends, awesome when paired with coffee, and is one of our favorite donuts to eat fresh off the glazing line. Need to bring a sweet treat to a party and not sure what flavors people like? Can’t go wrong with the classics. Nothing is better than getting some alone time with a classic glazed donut. That first glazed covered bite after a hard day…we can’t think of a better cure. For all these reasons and more, the classic glazed will always be one of our favorite donuts. Order The O.G. 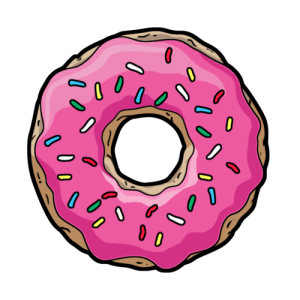 Donut Here! The cake donut has the fluffiness of cake and the fried goodness of a donut. Do you want a cake? Do you crave a donut? Well, why not have both? 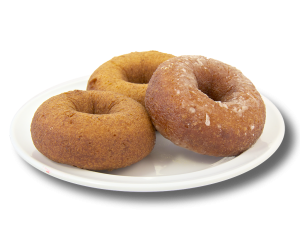 The cake donut is one of our favorite donuts because it’s a blending of both worlds. The fluffiness of cake, the fried goodness of a donut…who boy. Another reason it’s one of our favorites is there are more ways than one to order it. Do you enjoy the simple things in life? Why not try the plain cake donut? It’s perfect for that Friday morning treat before heading to work. Some even (okay, a few people) like to dip their plain cake donuts in their coffee. Chocolate Cake. With all these possibilities it’s no wonder this donut is one of our favorite donuts. Get the Best of Both Worlds Today! The sprinkled donut makes life delicious. Sprinkled donuts are one our most favorite donuts. They’re a classically fried donut with a flavored icing and topped with the most scrumptious sprinkles around. You just can’t beat that moment when you take a bite and all the flavors hit you. It’s no wonder Homer Simpson is seen munching on them any chance he gets. They really do make life delicious. Want to add the magic of glaze and the sparkle of sprinkles without the heaviness of the cake donut? Try the sprinkled donut. A classic donut with classic toppings. The Boston Cream melts away your troubles with its whipped velvety riches. Like we said at the start, this list was a hard one. Every donut we make is one of our favorite donuts. And yet there are days when you just want something with a creamy center. 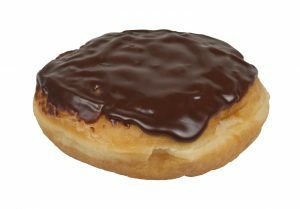 The Boston Cream is one of our favorite donuts because it has a smooth chocolate icing and a creamier than creamy filling. You’re tired, you’re hungry, and you just want a treat that makes sense. A treat that’s like home. A treat that will shut off the world for a moment while you enjoy its whipped velvety riches. Enter the Boston Cream. The one donut that creams away all your troubles. Order Your Favorite Donuts Today! So, how did we did we do? 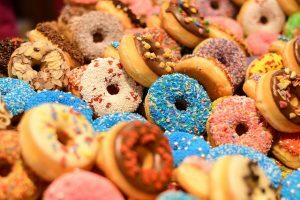 Did you find your favorite donuts on the list? Are you starting to crave your favorite donuts? If this list is making you as hungry as it made us treat yourself to some your favorites today. but good topic. I needs to spend a while finding out much more or understanding more.